Golf in Thailand is an ultimate leisure pursuit in Asia, usually played in high temperatures placing added emphasis on the importance of the caddy, food and beverages services, and extensive changing, washroom and spa facilities for re-energising after the round. The Thai culture embraces service and hospitality to make every visit so worthwhile and make your Asia Golf vacation a fun one. 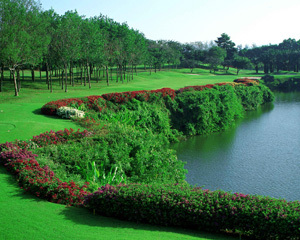 Considering the very high quality of the golf courses and resorts, green fees remain below many competing destinations, making Thailand tough to beat when it comes to value for money golf holidays not just in Asia, but around the world. Golfer friendly hotel Resorts in Thailand, such as the Hyatt Regency Hua Hin, Sheraton Pattaya and Le Meridien Phuket, also offer high quality service, variety and value, with superb locations ideal for beaches, shopping, culture and nightlife. There's also fine dining at the likes of Farang Ses in the luxurious Mandarin Oriental Dhara Dhevi where there is also the amazing world of the Lanna Kids Club for families. Aside from fantastic golf, Thailand also presents an opportunity to experience a centuries-old culture, with Buddhist Temples, Muay-Thai kick-boxing, elephant trekking, gem-stone shopping, authentic Thai dining, some of the world's finest spas, such as the Dheva and the Barai, and, of course, wonderful beaches and all year round sunshine! If you play golf in Asia, you HAVE to play golf in Thailand.